WHAT IS A GOOD LINE COOK WORTH? The ongoing success of a restaurant depends on two factors: great food and great service. It really is that simple. Of course, the chef, manager, and owner play an important role in selecting the right location and concept, building the menu, designing an inviting atmosphere, hiring and training the staff and orchestrating service, but as the restaurant continues to exist it will always be about an excellent meal and comforting, efficient service. How important is the line cook in this formula? In previous articles I have built a case for the value of the line cook and the team he or she works with. Most restaurants and chefs in particular would agree that the line cook makes it happen, time and again. Yet, how are restaurants recognizing this? How are line cooks rewarded for their role and for that matter, what rewards would make them happy? Let’s look at wages first. There is no question that many cooks choose the profession out of love for the craft, the ability to create, and the pace of the environment that cooks work in. However, people need to be able to support themselves in the process. Recent data focused on “a living wage” in New York City demonstrate that survival for an independent single is $12.75/hour (40 hour week). If that individual has one child, that rate jumps to $24.69 per hour. Keep in mind that these minimum figures do not include housing that would be considered acceptable in Manhattan, requiring individuals to live a distance from work, adding a commute and associated costs, nor does it include the cost of college debt if the individual had attended school at some point. The average line cook wages in NYC are $27,330-33,000 per year – right at the baseline for a livable wage for a single person and far below what would be needed to support one child. In a 2013 article written by Paolo Lucchesi, titled: Economy, Opportunity Thinning Restaurants Supply of Cooks, he paints a picture of a swinging door with departing talented cooks as more and more operators suffer from too many wanna be leaders and far too few soldiers on the ground. Cooks cannot afford to tough it out for 5-8 years while they build their brand leading to a more lucrative sous chef or chef position. Money is an issue, but it is not the only one. What are the critical pieces of the formula for employee retention in the kitchen? Everyone realizes that the cost of providing a healthcare plan for employees is expensive, yet who can really get by today without some type of healthcare? Cooks will leave a property for positions in or outside the culinary field for the opportunity to have family healthcare. Wages are not just significant for survival; they are an indication of a person’s worth. If the line cook is critical to the success of a restaurant and their skill set is unique, then shouldn’t they expect a salary or hourly rate that recognizes this? This is not an issue of changes to the minimum wage law, but rather an assessment of a job or persons worth to the business. In some cases, an unskilled position in a restaurant is not worth more than $10/hour, but when there is a direct connection between employee worth and business success, salary is a valid issue. Where is the light at the end of the tunnel? Many cooks will tough it out if they sense opportunity for growth within the organization or value through building their resume. Is this apparent in your restaurant? Do the chef and the owner work with and communicate with those individuals who show promise and help them with their career advancement? There are quite a few medium size restaurant groups who continue to open additional operations primarily to support the growth of their exceptional employees and keep them in the company fold. After all, the group has invested time and energy building an employee’s skill set and brand – why allow that investment to move on to another organization? Competent line cooks thrive on building new skills. Restaurants that are committed to recognizing solid line cooks will invest in their on-going training. 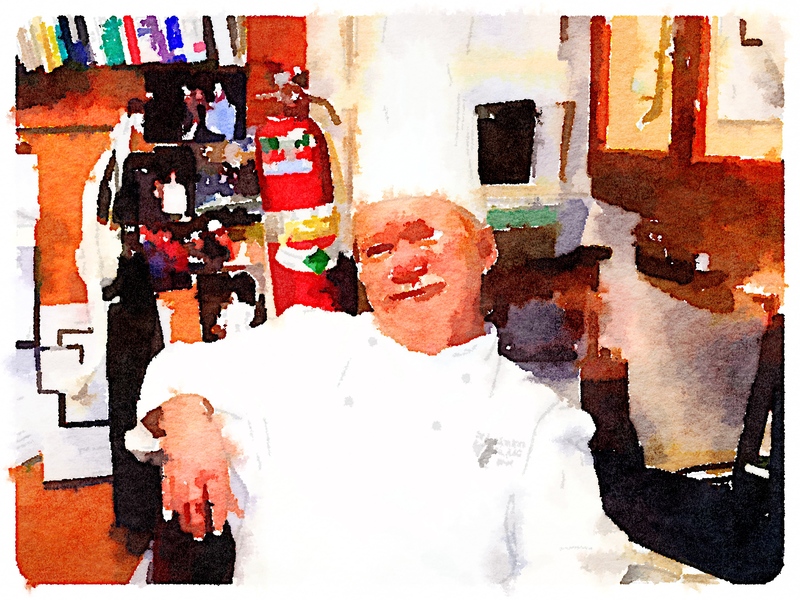 Sending cooks to workshops and classes, bringing in outside talent for in-service training, paying for a cooks membership in professional organizations or even paying for subscriptions to magazines are all signs that the property is committed to the individual. This carries a great deal of weight when an employee contemplates staying or moving on. Sometimes, simply listening to a line cooks ideas, involving them in new menu development, providing avenues for them to express their talent and communicating this involvement to all involved is a great first step in recognizing their value. There is another side to this that creates an unmanageable situation for chefs and restaurateurs in today’s over-populated restaurant marketplace. With growing interest in farm to plate formats in operations that offer enhanced dedication to preparation, restaurants have become even more labor intensive than ever before. Restaurants are not highly profitable businesses to begin with. A very successful restaurant may see a bottom line of 5-7% profit. Factoring in the highly perishable nature of raw materials and the fickle nature of guests, it is easy to see how hard it would be to maintain profit margins in even the best restaurant. Labor is the most significant cost for operators and the thought of raising wages and/or adding benefit packages is scaring operators to death. There aren’t any easy answers. There are possible solutions, but not all are considered acceptable by serious restaurateurs or chefs. Restaurants could certainly move to a higher percentage of convenience ingredients, reduce the size of the labor force, and pay those remaining a higher wage. Restaurants could dumb down the menu, building the document around items that require very little labor or talent and in turn reduce the labor pool of talented cooks, keeping wages in line. Restaurants could continue to raise selling prices to support a higher paid staff and placing the burden on the shoulders of the consumer. In all cases, the negative implications may outweigh the positive. The only real answer is to increase sales to offset the additional cost of recognizing employee value. Is the line cook simply a transitory position that will inevitably lead to employee attrition? Should restaurants accept that they are portals for employees as they move from one career step to another at a different location? Should restaurants become more proactive in the training process and seek out a steady stream of future cooks and chefs and accept this role as part of their mission? I don’t have the answers, but know that it is time for the restaurant industry as a whole to recognize the dilemma and collectively seek solutions. With more and more young culinarians leaving college with substantial loan debt and little desire to start as a line cook, it may become necessary for restaurants to enter the field of training with a sense of purpose. Remember, it is and always will be the line cook who contributes a good portion of the formula for success: the quality of the product a restaurant serves lies in their hands. ← KITCHEN LIFE- HEY, IT’S HARD WORK!